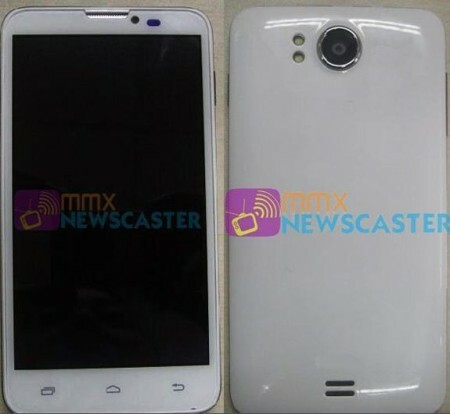 Another upcoming handset Micromax A111 canvas leaked online by MMXNewscaster on twitter . Officially there is no word from Micromax about the same . According to the source Micromax A111 canvas have 5.3inch QHD resolution display . At the back there is 8MP autofocus camera with Dual LEd flash . There is no confirmation whether canvas A111 is dual core android device or it has Quad core cpu but many says that it has Qualcomm MSM8225Q quad core 1.2 Ghz processor . Micromax A111 canvas is powered by 21000mAH battery . Also there is no idea about the price of the device till now . According to the leak the Micromax A111 canvas will have Dual sim capability . Micromax canvas A111 has 5.3inch display of QHD resolution . The device runs on android 4.1 jelly bean . At the back of the handset there is 8mp camera along with Dual Led flash & 1.2MP camera at the front . There is no official announcement by Micromax about the release of Micromax A111 or Micromax A115 canvas 3D . But acc to the source the both devices will be available in the market very soon after the official launch . Micromax A115 canvas 3D is already listed online on mobiles.sulekha.com with unknown price . 8Mp rear camera & 1.2 MP front camera . MAIN RIVALS – Competitors – vs . Following are some Rivals of Micromax Canvas A111 . MICROMAX A111 vs other Quad core smartphones . Gionee Dream D1 ( review ) – Gionee Dream D1 has 4.65 inch Super Amoled Hd display . Micromax A116 – Micromax A116 is Micromax’s first Quad core handset with 5inch 720p display . Zen Ultrafone 701HD – Zen ultraphone 701 HD has same specs that canvas HD has . Xolo q800 – Xolo Q800 has 4.5inch capoacitive display . Umi X2 – Umi X2 has 2GB ram & 5inch 1080p display . Umi x1s – Umi s1 is another Quad core device from umi . Xolo X1000 – Xolo X1000 has 2ghz intel atom processor . Alcatel One Touch Scribe Hd ( hands on review ) – Alcatel Hd has 5inch 720p resolution capacitive display .